These adorable copper earrings are just right for that every day accessory! Their neutral tones, comfortable length (dangle is approximately 1.25 inches), and reasonable price...make these a wonderful "go to" pair of earrings! 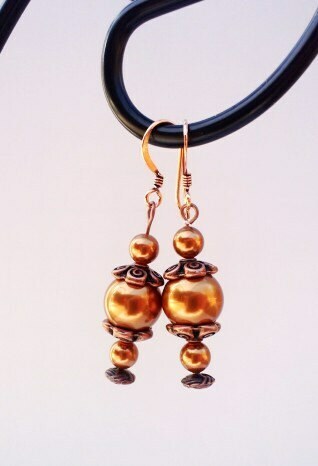 Please note: The round beads used in these earrings are Swarovski Pearl elements.